Nonkululeko is the CFO for Zungu- Elgin Engineering in Durban. She has vast experience in Financial Management in the Manufacturing industry. 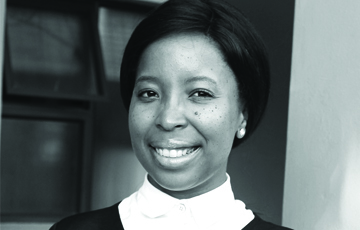 She has worked as a Management Accountant at Transnet Rail Engineering, Business Analyst at Tongaat Hulett Sugar, Plant CFO at L’Oréal Manufacturing, Africa Audit Risk & Audit Manager and Category Finance Manager at Unilever Head Office. Nonkululeko has been involved with the AWCA for 8 years and serves as the AWCA Kwazulu Natal (KZN) Regional Chairperson. She has a passion for diversity and inclusivity, and has served as a D&I Lead for the Finance Team at Unilever SA, and has assisted the function to initiate programmes that drive this agenda; an example of this is when she assisted Transnet Pipelines with their “Women in Pipelines” programme in Durban. She is currently pursuing her Diploma in Bible Studies at the Heritage of Faith Bible Institute.